If you have been around these parts for very long then you have probably read that I worked at the amazing Pine Cove Christian Camp when I was in college. It was by far the best job I will ever have, and I am so thankful for the opportunity that I got to work there! One of the great things about Pine Cove is that everyone gets camp names. They are given to you by your fellow staff members and they are made up from stories that you tell and things that people have learned about you over the few weeks of training. Today I wanted to share with you how I got my camp name and the funny story that comes along with it. 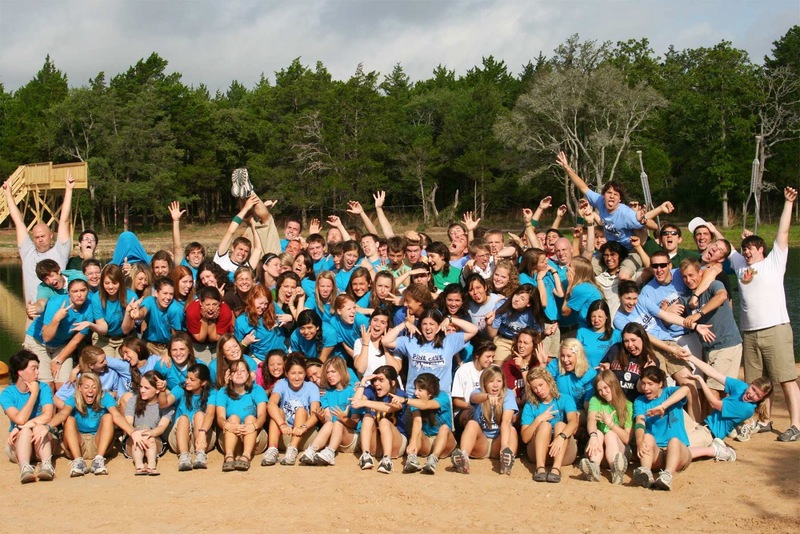 My first summer at Pine Cove was the first summer of the camp that I was working at. No one in my cabin knew anyone else when we first got there, so we all just started sharing stories and getting to know each other. One of the first nights of training I was in the shower and we were all winding down for the night. As I was showering one of the girls yelled in and asked me if I had a blow dryer. I said no, why would I have one? I have curly hair... then changed my mind and said that yes I did, a mini one. What I didn't know was that all the other girls were in the sleeping part of our cabin discussing their relationships. And I had missed that when they yelled in at me they didn't ask if I had a blow dryer, they asked if I had a boyfriend. So instead of my innocent answer of no blow dryer, it was no boyfriend. And on top of that, I didn't have a boyfriend because I have curly hair. But the best part of all of it was that I changed my mind and said I had a mini one. At this point I can only imagine what was going through these girls heads. One of the girls with curly hair was curious as to why I couldn't have a boyfriend because of my hair. And the other girls were wondering what I meant by a mini boyfriend. So by the time that I got out of the shower, we had things cleared up and our confusion had just turned out to be a LITTLE MISS UNDERSTANDING. To date this is seriously one of the funniest stories of my life and later that summer when I got a new legitimate purple blow dryer these girls were the first ones that I wanted to tell!!! Cute story :) I think that's awesome that you get camp names - makes the whole experience that much memorable. Thanks for sharing! this is so funny. but it's hard to listen when you're taking a shower. did you nickname your blow dryer boyfriend?